Its interesting, I personally believe that while the Libs should obviously target Cambridge, seats like this are much more promising prospects. Zeichner seems to be something of a perfect fit for Cambridge and if his Twitter feed is anything to go by seems to be very active locally. Also as Polltroll points out Cambridge is the type of seat where Corbyn might go down well, there is a very significant Green vote for Lab to squeeze at least. Also regarding boundaries it seems pretty obvious that Cambridge will just take in Queen Edith’s which while reliably Lib is not a particularly bad ward for Labour (they won in 2012) and thus wont make a massive difference. I personally think Eastbourne and Bath are more likely Lib gains than Cambridge. Cambridge is almost certain to gain the one city ward (Queen Edith’s) which is currently in the South Cambridgeshire constituency. This is slightly better for the Lib Dems that Labour, but would not alter the balance of the constituency by much. My reading of the 2015 Cambridge result is that Huppert successfully squeezed the Tory vote as much as possible; in terms of vote retention from 2010, he got one of the very best results of any LibDem. It may be hard to repeat the feat in 2020, and the local election results 3 weeks ago in Cambridge were not encouraging for him. I still think Scotland may offer the best Lib Dem hopes. Indeed, the SP election results make that case stronger. 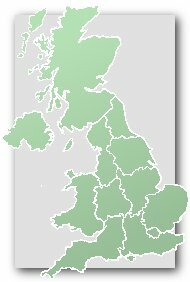 If the kind of voting patterns seen the other week were repeated they’d surely be very well placed on current boundaries in Edinburgh West, Fife North East and East Dumbartonshire, and also have possible longer shot chances in Caithness etc., Gordon and Argyll and Bute if they can successfully secure most of the unionist vote. The Labour- and Tory-facing seats will be tougher to attract the necessary tactical votes in without an incumbent, and in many of the Tory-facing seats Labour have such a low vote that there are few more tacticals to win over anyway. Edinburgh should lose a seat in the next round of boundary changes so, until we see the proposals, it is difficult to assess whether the Lib Dems stand a chance in any of the seats. Jack, I think your expectations of a Lib Dem recovery in Scotland are a little over-optimistic. There’s absolutely no chance of them dumping Alex Salmond out of parliament. As regards England, they stand much more of a chance in Tory- than Labour-facing marginals. It is the people who switched from Labour in 2005 in the shadow of the Iraq war that are the ones that feel the most betrayed, and who will in all likelihood never be coming back but especially not while Corbyn is Labour leader. Meanwhile in Tory marginals, they don’t really need to squeeze other parties, they can just try and peel off some disaffected Tories, or even hope that UKIP does that for them. Gordon is a long shot, of course. And boundary changes may well hurt the Lib Dems if they are substantial (by damaging their claim to be the only realistic challenger). But what we saw on 5th May was that in SNP seats with a high unionist vote, voters were more prepared to coalesce around the best placed alternative than they had been in 2015. The MMP electoral system may help facilitate that by allowing people to vote for their favourite party on the list but I wouldn’t be surprised if it is a tendency that transfers to the 2020 GE or even develops further. I sense that a lot of Scottish unionists are getting a bit fed up with the SNP’s dominance and four years further down the line this is likely to be even more the case. I agree that the Tory-facing seats are more winnable for the LDs than the Labour-facing ones. But not easy. They’ve lost incumbency, the Conservatives now have a load of first-time incumbents and there aren’t many that were especially close in 2015 (only five within 5%). The disaffected Tory voters you talk about may well be more than cancelled out by people that voted for the LD incumbent last time but now vote for the Tory incumbent. Remember, most of these seats have historically been reliably Tory most of the time. Living fairly close to both, my prediction is that neither Eastbourne nor Lewes will be regained by the Lib Dems. For what can happen when there isn’t an LD incumbent just look at the results in some of the seats they were trying to defend in 2015 where the MP stood down – Hazel Grove, Mid Dorset and North Poole, Somerton and Frome, Taunton Deane. Re-gains with new candidates will be very tough indeed if there isn’t any significant uplift in national support for the LDs. The most extreme case of the above was Brent Central, where the Lib Dems collapsed from 44% to 8% when Sarah Teather stepped down. Of the seats where the incumbent stepped down, Bath is by some way the Lib Dems’ best chance at regaining the seat. One wonders to what extent local politics will have an effect. In areas where they have held on at the local level, the Lib Dems would have the option of trying to promote council leaders to MPs. This could offset incumbency effects to some extent. Of course this doesn’t apply everywhere: Watford isn’t going to be returning a Lib Dem MP any time soon, even though the party recently gained control of the council. Of course in Bath they were defending a 12,000 majority so it was still some collapse. I agree that there is some prospect there – the Tories probably can’t get much over the 38% they got there in 2015 these days. The difficulty may be that having been in coalition it will be much harder to win the support of the fairly sizable student/academic left-wing vote that exists in Bath. So the split opposition that kept it Tory even in bad Tory years until Don Foster could persuade enough Labour supporters to vote Lib Dem to get rid of Chris Patten in 1992 could return. I think Mark Hunter in Cheadle is the best possibility of a defeated MP getting back in actually (better than Torbay) despite requiring a 6% swing. He got 60% standing against the Tory MPs husband when he returned to Stockport council 3 weeks ago and the LDs led the Tories by 7% across the constituency. It should be relatively easy for him to retain a high profile as Deputy LD leader while simultaneously attacking the new Labour council, Tory gvt and Low profile Tory MP Mary Robinson. I can’t add much more to what Polltroll has said. I reckon Portsmouth S is also realistic because the Tory vote share is so low where the LDs also rebounded in May. I am not so sure about Cheadle at this point- it may be one of those places where the Lib Dems overperform locally during the Parliament but fail to win back- Bramhall is a problem for them. I think the London seats (obviously apart from Tom Brake’s) and Yeovil are probably write-offs for the forseeable future as far as the Lib Dems are concerned. I hadn’t really thought about Cheadle actually – I guess it could be a possibility if they decided to throw pretty much everything at one Manchester seat but I’d agree it could become a Three Rivers-type place with the Lib Dems overperforming locally. I think St Ives could be a lot harder than the swing suggests – potential for tactical unwind in Penzance and in St Ives itself plus of course the boundary changes. Torbay is probably their best shot at a SW seat but that would depend entirely on Adrian Sanders running again. Could be interesting to see what happens post-referendum; it’s likely to vote heavily Leave and I believe Kevin Foster is backing Remain. I’d expect Bath would probably stay Tory on a split opposition. Tom Brake’s seat is highly likely to be lost due to boundary changes. There seems no practical alternative to merging Carshalton with part of Croydon. If it merges into the north of Croydon then Labour would have a real chance, if they can get back tactical LD votes in the Sutton wards around St Helier. If it merges into Croydon South then the Tories will probably be unbeatable. Of course, if Tom Brake – one of the LDs most senior figures after Farron – is facing a fight to hold on to a seat incorporating areas that haven’t voted Lib Dem before that will have a knock on effect elsewhere by diverting resources. Boundary changes are likely to have a similar effect in Sheffield and Leeds as well. FWIW I don’t buy into this “popular incumbents do massively better” argument. Their might be some effect but I imagine it’s very minor. For every Westmorland, North Norfolk and Carshalton there are others seats with supposedly popular, well entrenched MP’s that saw huge swings against them. And lets not forget two of the most high profile casualties of the night Cable in Twickenham and Hughes in Bermondsey. I should clarify that prior to 2015 I did believe popular MP’s would massively outperform but the results on the night totally destroyed any belief I had for that theory. I personally subscribe to the theory that incumbency made no difference (with the possible exception of Farron in Westmoreland) and instead all the seats the Libs held were due to a random mix of local and regional quasi political factors that just happened to benefit them. In 2015 incumbent Lib Dems did, almost without exception, do better -just not better enough to save their seats. You are completely right that the seats they did save were largely down to somewhat random local factors – often a divided opposition. Surely Somerton & Frome is already looked upon as a safe Tory seat? Lewes and Thornbury & Yate presumably won’t exist at the next election thanks to the boundary review. Agreed on the SW London seats (LDs will surely only put any effort into one, presumably the one replacing Carshalton) and Yeovil. Eastleigh could well another place where the Lib Dems do well at local level but it doesn’t transfer to general elections. Most of the Labour-facing seats already seem fairly safe. The only one they’re likely to put much effort into is Cambridge and if the city council elections are anything to go by that could prove a lot tougher to retake than the wafer-thin majority would suggest. As well as the lack of capacity to squeeze further, the general tendency of students/academics to be more favourable to Labour (and much less favourable to the LDs than in 2005 and 2010) should make Cambridge fairly comfortably Labour in the near future. Huppert’s vote probably held up so well because he’s a Cambridge academic himself, but it will be hard to repeat as a non-incumbent and even if he could I doubt he could win it on 35%. This seat is in my opinion a good bellweather for the nature of Tory/LD battlegrounds in England outside of London. A 58-42 majority for Leave in 2016, and yet the Tories went down in 2010 (the notional change suggests that the new boundaries benefitted the Lib Dems, but that there was still a seat-flipping swing to the LDs in 2010 on the old boundaries), and down further in 2015. The nature of the UKIP vote is also hard to figure out – one would assume leave-leaning, but in the sense that it’s hard to figure out what those voters did in 2010 and therefore their inclinations this time. If the national trend towards the Conservatives is a case of national unity and affirmative support, then seats such as this will fall completely out of range for the LDs. If on the other hand the national trend is largely a case of process of elimination – the ultimate execution of divide and conquer politics – then seats like this could well continue be competitive, just as they have been since 1997. I’m not going to belittle that analysis by making a prediction either way. Just saying that if you’re interested in the nature of the wider Tory/LD battleground, you could do worse than focus on this seat. Exiled Voter raises good points. It certainly is one to watch. What news on Stephen Lloyd? If he stands I think this could be a too close to call seat : if not a Conservative hold. Lloyd was selected last year when a snap election was expected. I believe he is still standing. I believe there is a good chance of a gain, but not at all a certain one, given the leave-y nature of this seat compared to Lewes. For reasons I didn’t really get at the time people were ramping this seat as a definite LD hold in 2015. It didn’t happen. I’d be astonished if a gain happened now with the Cons on the best part of 50% in the polls and given the strong Leave vote here. Potential narrow Lib-Dem gain given all the recent discussion/furore over the Tory ‘death tax’ ? The reason people were predicting a Lib Dem hold in 2015 was an Ashcroft poll saying they were about 20% ahead. I am not sure why you didn’t “get” that! Sorry for the sarcasm. I am still quite sore about the Ashcroft polls! Congratulations to the LibDems for winning Eastbourne. Labour and the LibDems are needing to win seats in England to offset the Tory gins from the SNP in Scotland. Surprised that this went LD and Lewes didn’t. Thought that was the better prospect. Ah well, can’t always be right. Or often, I suppose. As far as I can see this was the only Lib Dem gain in a seat which voted Leave. Mr Lloyd continues to reach parts of the electorate his colleagues fail to! This and North Norfolk really bucked the trend as far as the traditional LD/Con battleground is concerned. May’s social care plan may have cost the Cons in seats with so many pensioners. I think one has to conclude that Brexit was not a major factor in whether or not people voted Lib Dem, partly because Labour somehow managed to pull off running a hard Brexit manifesto with a soft Brexit tone of voice and convince many remain voters that this meant they were a soft Brexit party, and partly because it just wasn’t on most voters’ minds in the first place. We really benefited mostly from being an anti-Tory tactical option in seats we used to hold and from having a solid slate of candidates, in places where we made gains. That pattern doesn’t really hold elsewhere in the LD/Con battleground – c.f. LDs going further back in much of South West, English gains in Remain strongholds except this one. You are right that Brexit seems to have had little effect in Lab-facing LD targets, with the backlash against Labour’s acceptance of Brexit failing to materialise. But we held leave-voting Carshalton and N Norfolk, remember – and failed to take remain-voting Lewes, RichPark, St Albans all of which were top targets for us against Brexiteer Tories. Bath and OXWAB I think we won on a tactical, not an anti-Brexit, basis. I agree. I think most people have accepted that Brexit is inevitable, that it would be wrong to overturn the democratic mandate, and didn’t really grasp the distinction of the whole “people have the final vote” thing (not least because it was never explained what would happen if they voted to reject the deal). Stephen Lloyd has resigned the Lib Dem whip as he intends to vote for the deal, as he pledged to do so last year. He remains a member of the Lib Dems. He’s a very odd looking man. It’s quite bizarre to promise to back whatever deal the PM came back with as long ago as he did. He really had no clue or inkling about what the final deal would contain back when he was elected in 2017. I know he has to butter up the old dears in his seat, but come on. To be fair, I think Stephen Lloyd comes across as fairly odd full stop, although he seems thoroughly decent, pretty likeable and, from what I hear, is an effective representative of his constituents. I think he’s actually quite deaf, which might explain his odd-sounding voice. Having said that I do know a few people who’ve moved to Eastbourne over the past couple of years from Brighton – like Worthing to the other side of Brighton, there’s much more affordable property. Thanks Tim. Sorry I wasn’t aware of his disability. Eastbourne is quite an interesting town, and the surrounding countryside is gorgeous. Whilst it may have a large older population, the town didn’t feel particularly staid or conservative to me. As Sussex seaside towns, Eastbourne is actually one of the nicer ones. I respect the man’s commitment to his promises, but it does seem odd to commit to supporting a deal before the deal has been made.